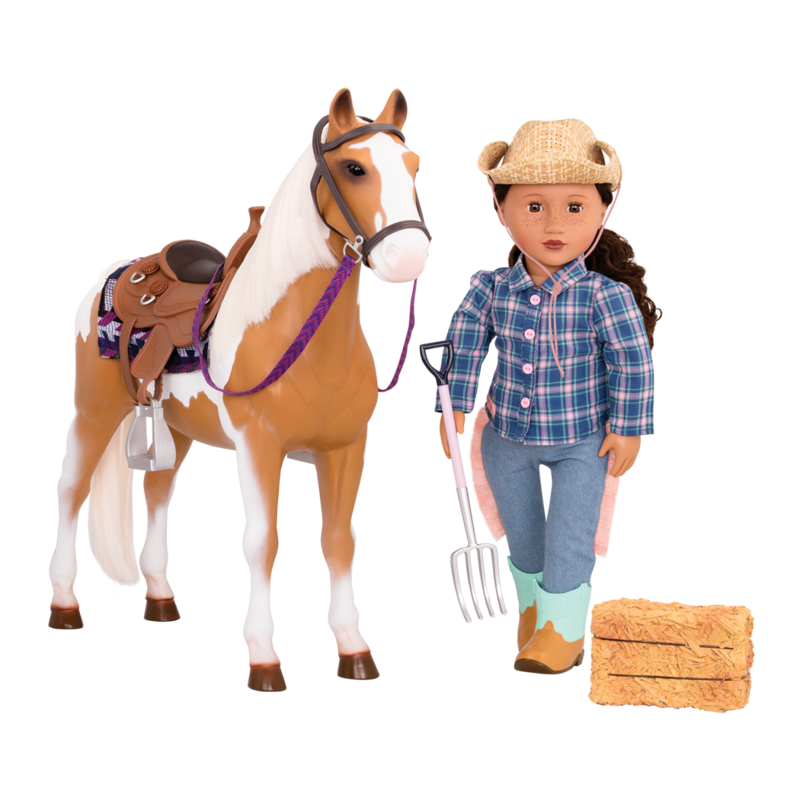 Get ready to gallop into adventure with this 20-inch toy horse! 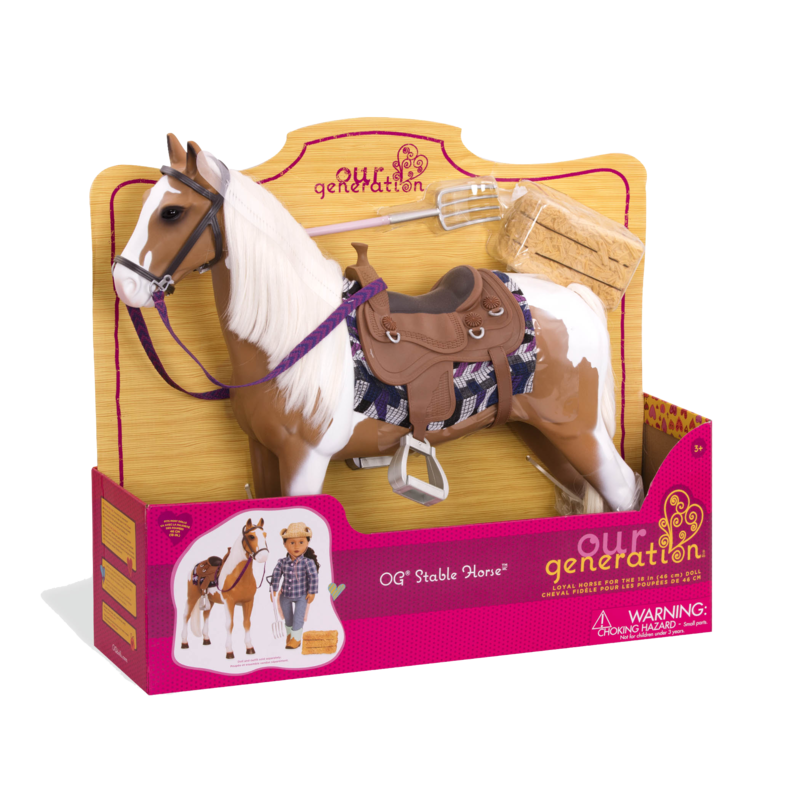 Get ready for best-in-show fun with the 20-inch Our Generation Stable Horse, a beautiful and loyal pal for any 18-inch doll. Who’s ready for fun? 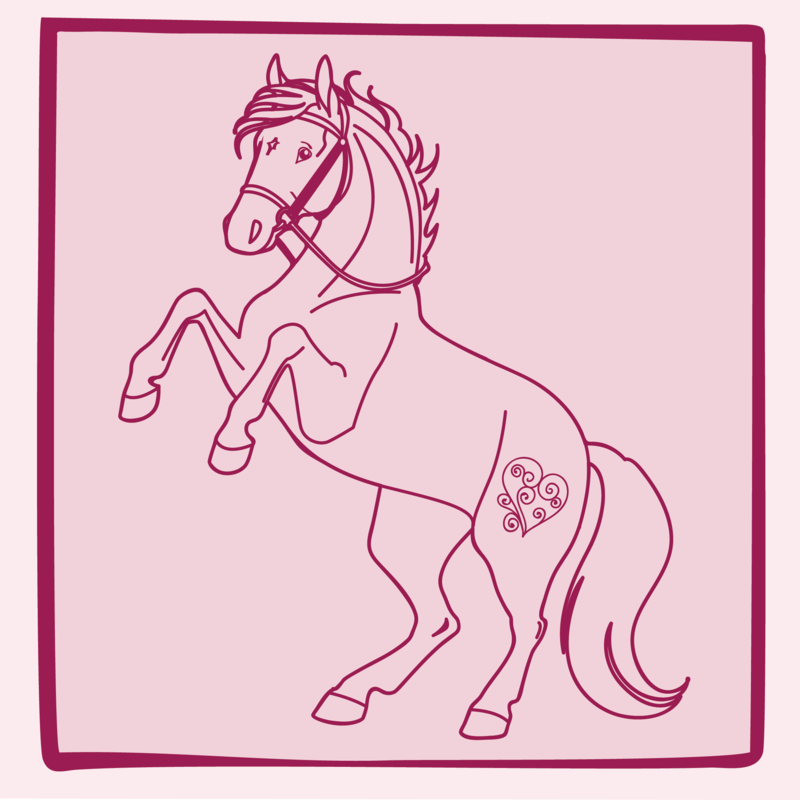 This horse, of course! Get your Stable Horse ready for a ride with the bridle and attached reins in a pretty woven purple. 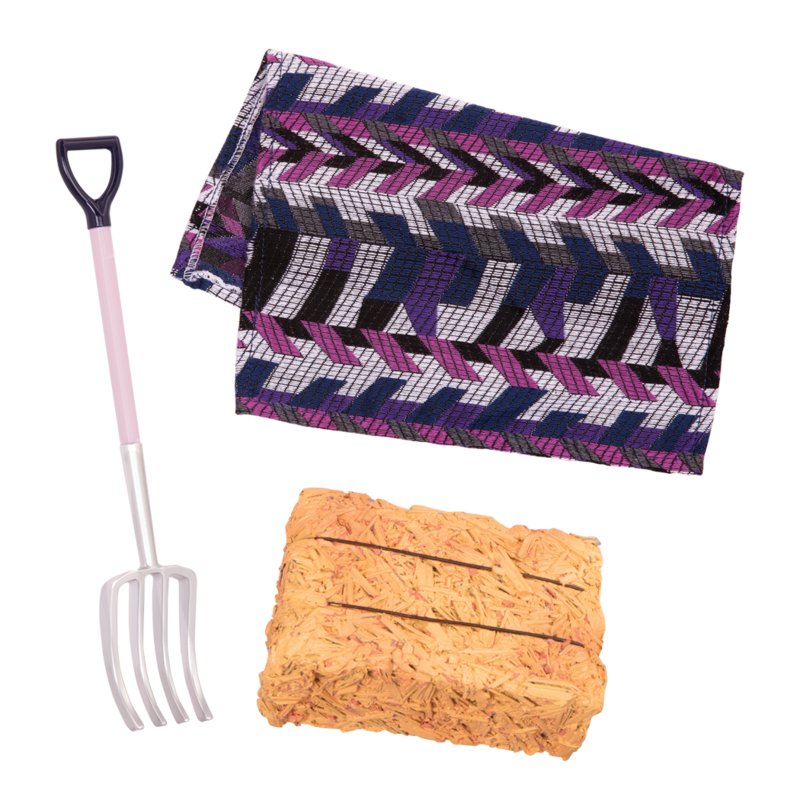 The matching patterned saddle blanket and western-style saddle will help you giddy up with glee. When it’s time for a rest, the hay bale will give your horse a perfect snack! 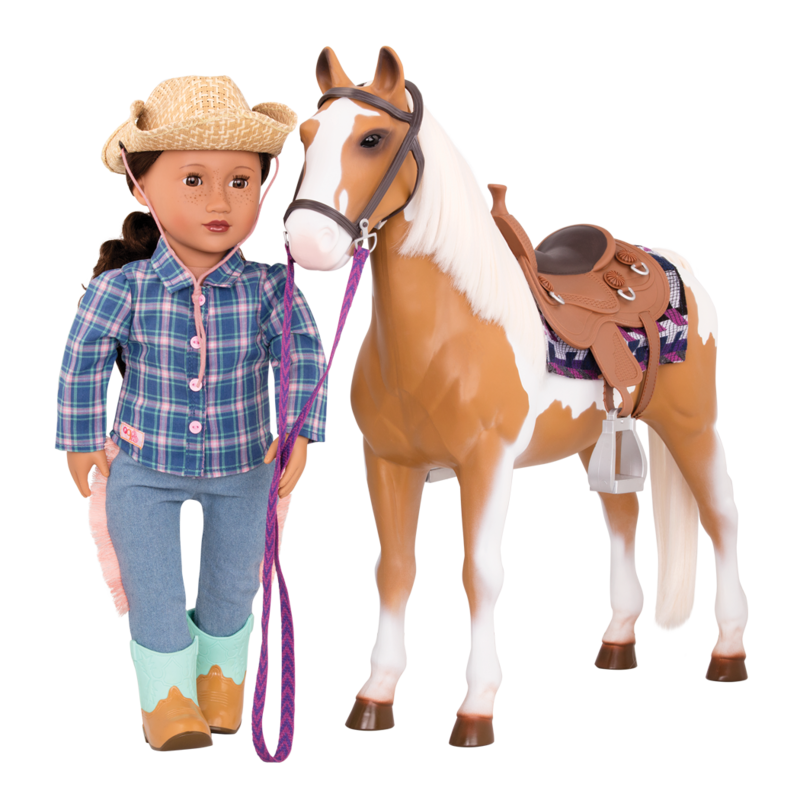 Have you met Melina, the doll in the pictures of the Stable Horse? She loves taking her pony our for a long, relaxing ride. When she’s not having fun at the stables, she is a bee keeper! 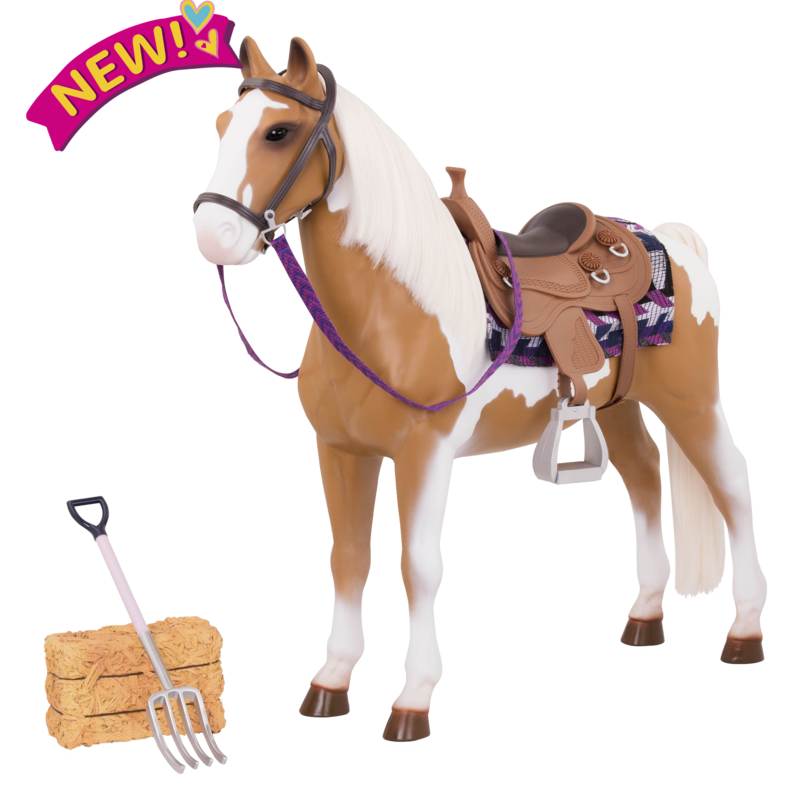 This 20-inch stable horse is always ready for fun! 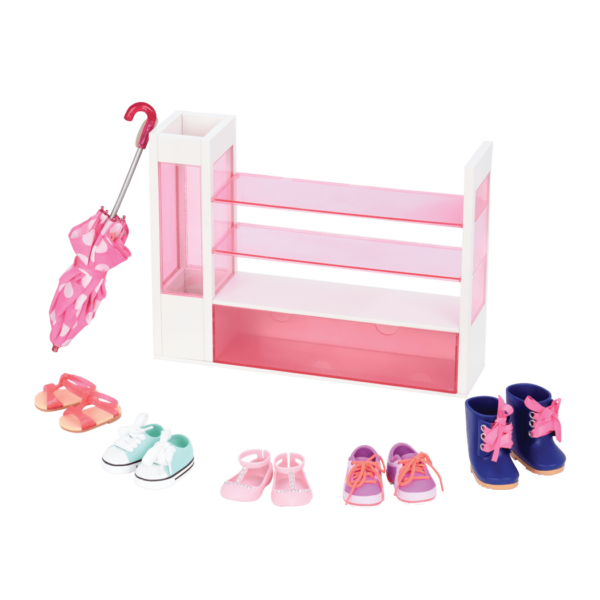 Why not set up some jumps, like those in the Equestrian Style Set, and let the Stable Horse help you take home the trophy! 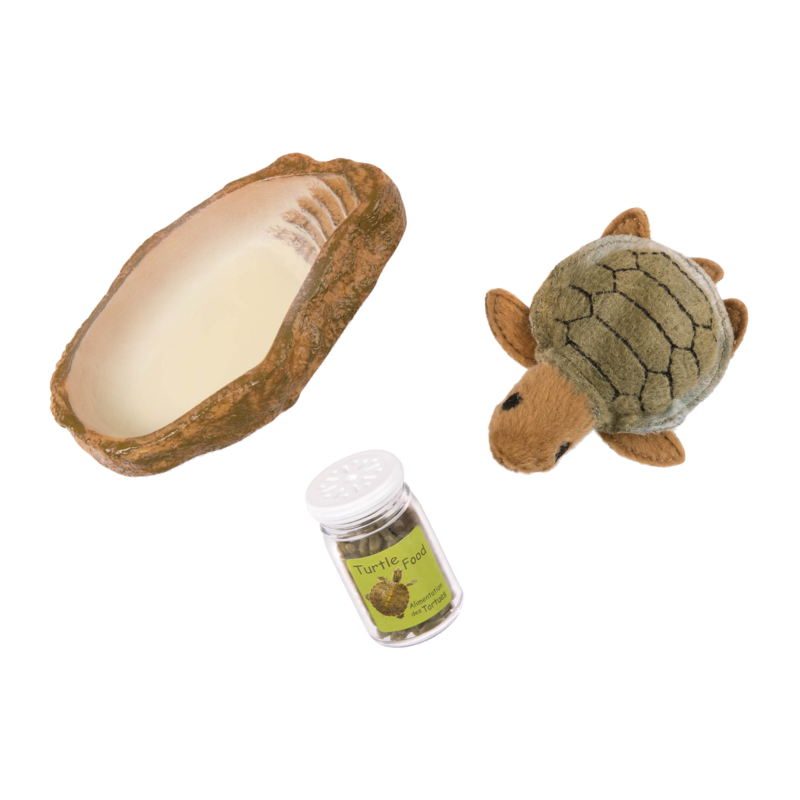 And for a lovely home for your horses, check out the Saddle Up Stables horse barn with everything you need to keep your horses happy and healthy! The doll pictured is Melina.